Calgary, AB: Today, M.P. Michelle Rempel (Calgary Nose Hill), Councillor Jyoti Gondek (Ward 3), Councillor Sean Chu (Ward 4), Councillor Joe Magliocca (Ward 2), and community leaders from five Community Associations sent a joint letter to candidates running in the provincial ridings of Calgary North, Calgary North East, Calgary Beddington, and Calgary Klein and, the leader of their party, asking them to clarify their position on the Green Line. The letter brings specific attention to the immediate need for transit infrastructure in north-central Calgary. 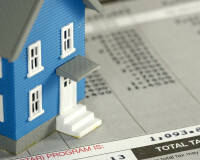 “The data is clear. When considering ridership, north-central Calgary is the area of our city that is in most dire need of access to the LRT. Green Line access in the north will afford many Calgarians mobility they don’t currently enjoy, economic opportunities, reductions in traffic wait times, and have significant positive environmental outcomes. This is why I have always supported, and will continue to strongly advocate for, the Green Line coming all the way to North Pointe” said Rempel. 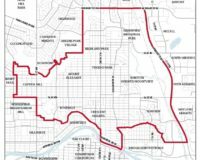 “North Central Calgary has been overlooked for infrastructure investment for many years, most recently with ridership statistics and logical modal progression supporting the Green Line north being disregarded in the decision around Stage 1, which favoured the south leg. Stage 2 of the Green Line must immediately prioritize the north leg up to North Pointe to meet the needs of residents who have demonstrated consistent commitment to public transit for the past three decades. 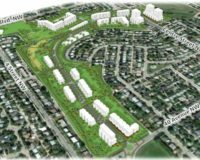 North Calgary communities have waited long enough for the service they deserve” said Gondek. “For years’ communities along Centre Street heading north have asked for an LRT extension. 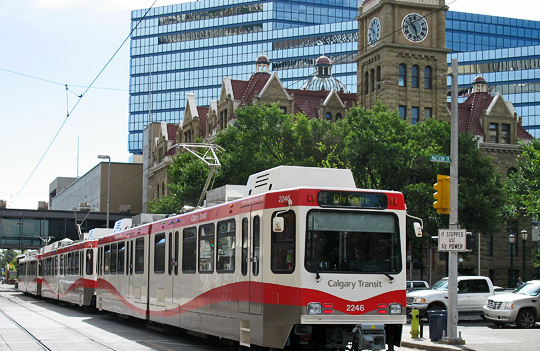 The Centre North leg is the only profit making line in the Calgary Transit system. 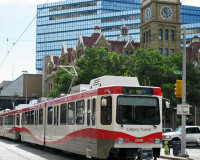 Without an LRT extension along Centre Street the traffic congestion will remain, and the needed revitalization along the route will not occur. Each LRT station going north will provide opportunities for density, allow main street small businesses to grow, and will lower our GHG emissions in the process. I fought for the Green Line so that the Centre North would benefit from this City shaping project, as it has been ignored for too long. The Green Line must go to North Pointe” said Chu. “The green line project needs to get back on track with a renewed focus on providing service to our growing suburbs, not just the downtown. I support the full completion of the green line and I will continue advocating for its completion in a fiscally responsible manner” said Magliocca.